A few weeks ago we went to a mall specifically to go to Toys R Us to look for birthday presents fro Julius, only to find out that they are closed for renovations. 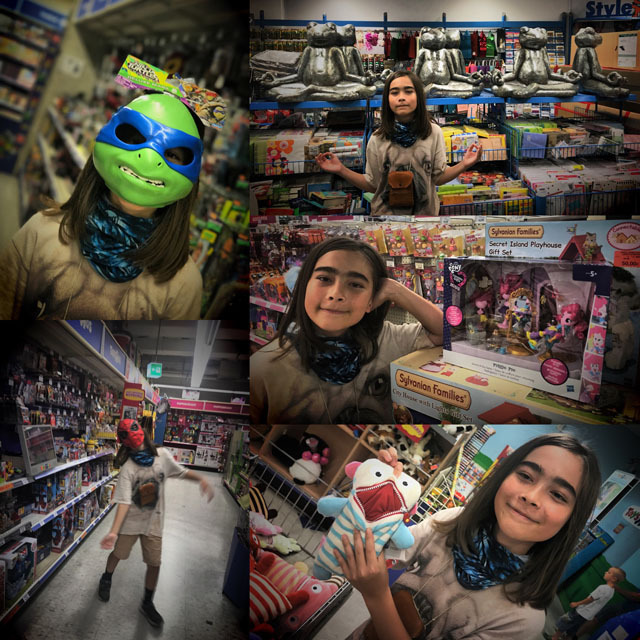 Today as a surprise on the way back from camp, I had found that along the route, in Offenbach, there’s another Toys R Us and this is where I took the young man. Hilarity ensued. But I have to say that this store, and the mall it is in (and actually pretty much all of Offenbach center) looks ‘left behind’. In need of renovation. Stuck in the 80ies … and not in a good way. Some parts of that mall were so deserted, you expected zombies to come around the corner. 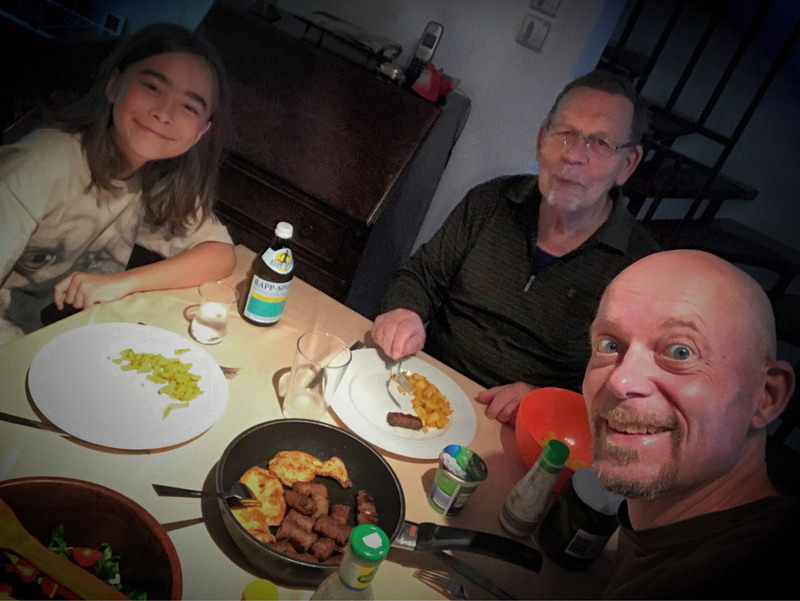 Back home we had a nice 3-Nacken-men, leftovers / reunion dinner. This entry was posted in Germany 7/17, Julius, Travel. Bookmark the permalink.